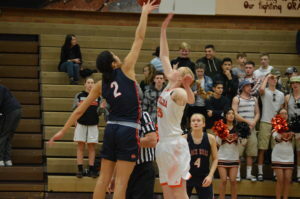 (Centralia, WA) These 2 teams came in tied for 2nd and the winner would have control to the very important second seed into the upcoming District Tournament. 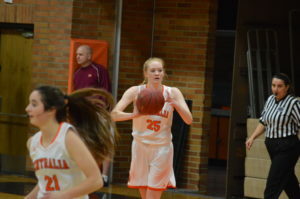 The Wolves were also getting back Maisy Williams who has been out since the jamboree with a broken jaw. 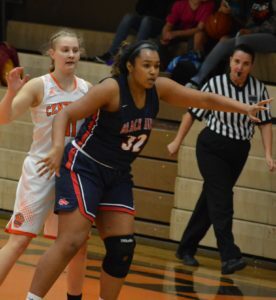 Williams got her jaw unwired recently and has been working herself back into shape. 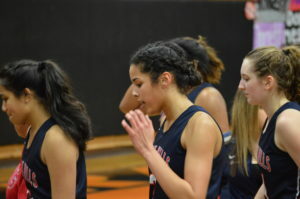 Coach Tanya Greenfield said she expected to play her longer stretches of time easing her back into game action. 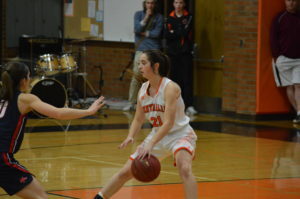 Williams wasted little time in taking control of the game with a solid mix of the other starters scoring the first 4 points. 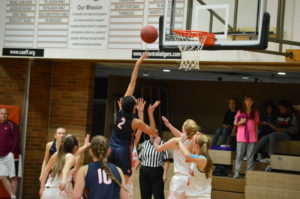 Kennedi Greenfield scored 4 of her 10 for the game while Lindsey Nurmi, Megan River and Natania Serhan all scored giving the Wolves a 17-6 lead. 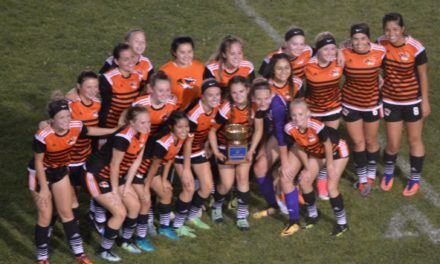 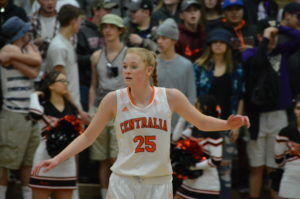 Ellie Corwin and Hannah Porter scored Centralia’s points. 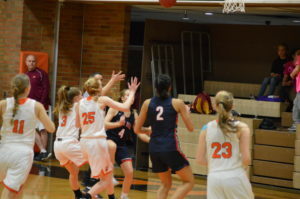 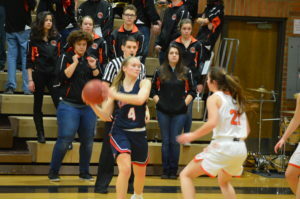 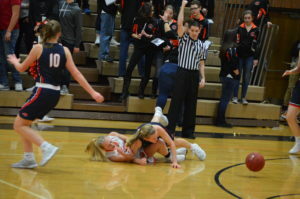 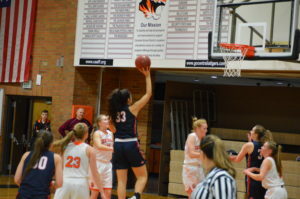 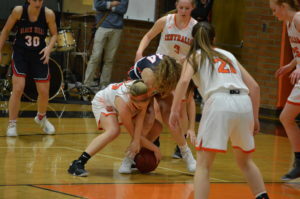 In the 2nd quarter it was the lone senior on the Wolves squad, Lindsey Nurmi who took over scoring 9 of the 14 points and the Wolves held the Tigers to just 2 and took a 33-8 lead into halftime. 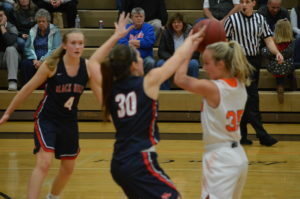 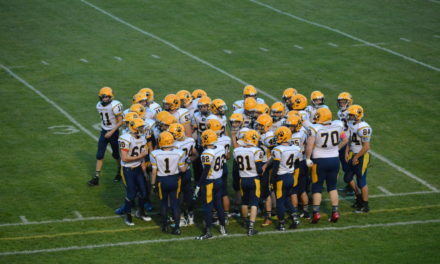 Black Hills cruised in the 2nd half the easy win leading 47-19 after 3 before putting the game away. 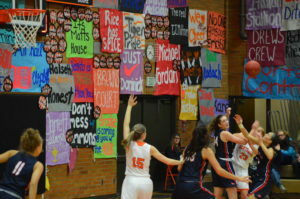 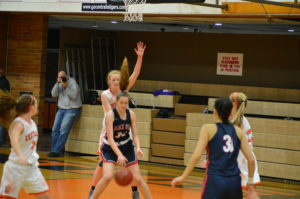 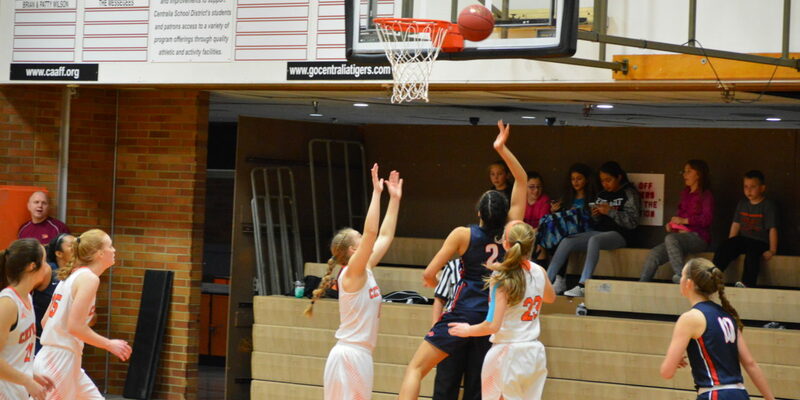 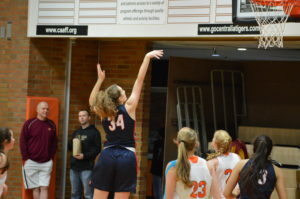 Corwin would finish with 11 to lead the Tigers and Rachel Wilkerson knocked down 3 straight buckets for 6 in the 3rd. 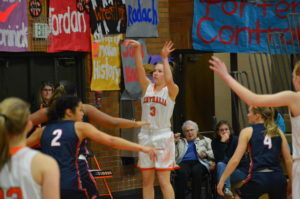 Nurmi led all scorers with 18, Williams finished with 14 and Greenfield also was double figures with 10. 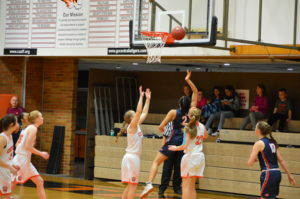 Greenfield with her solid all around effort and 10 points earned our Pacific Sports Spa player of the game for the Wolves and Ellie Corwin for the Tigers. 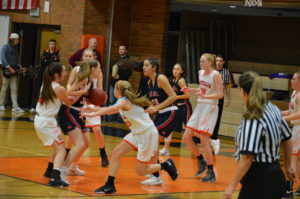 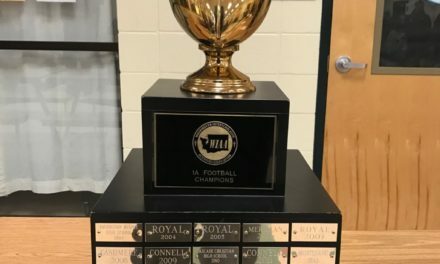 Black Hills improved to 6-2 and has taken sole possession of 2nd place while the Tigers can clinch 3rd place with a win over Aberdeen and the Wolves can clinch 2nd place with a win over Rochester in their next games.